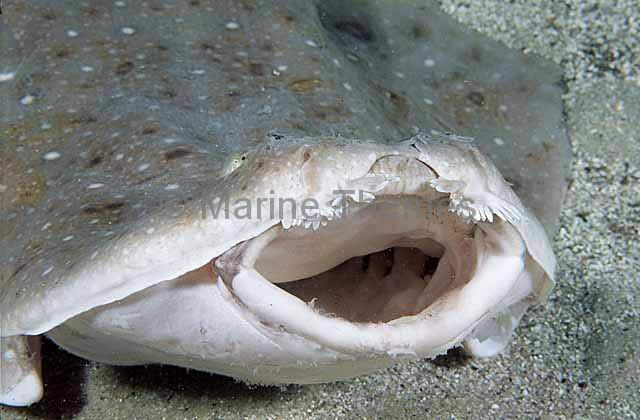 Eastern Angel Shark (Squatina albipunctata) Portrait. 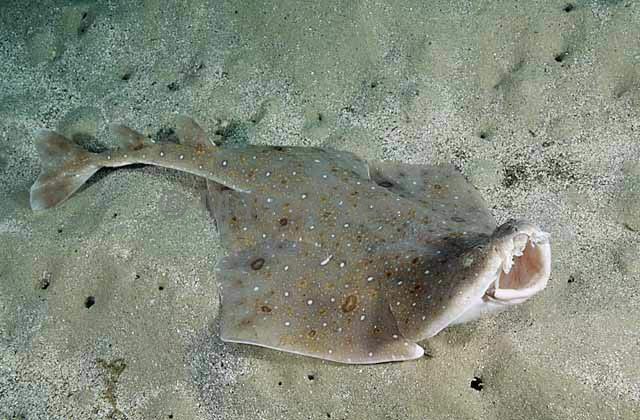 Eastern Angel Shark (Squatina albipunctata) in feeding and threat posture. 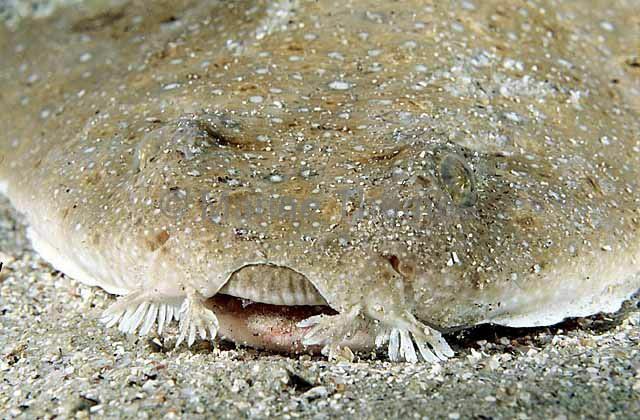 Worlds first underwater photographs of this species. 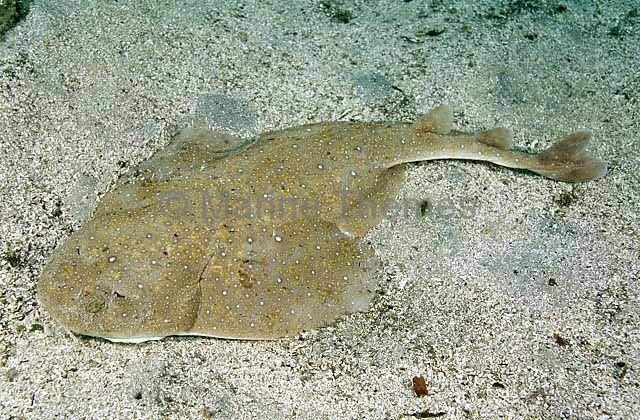 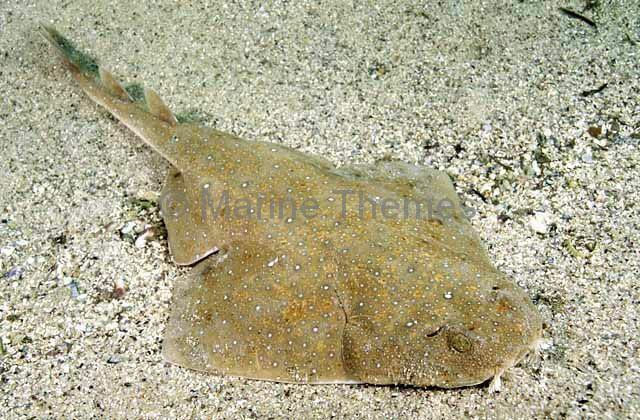 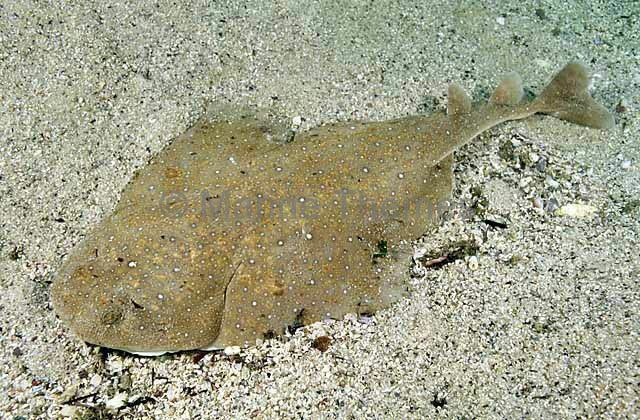 Eastern Angel Shark (Squatina albipunctata) Worlds first underwater photographs of this species.